Rewind to 2015. 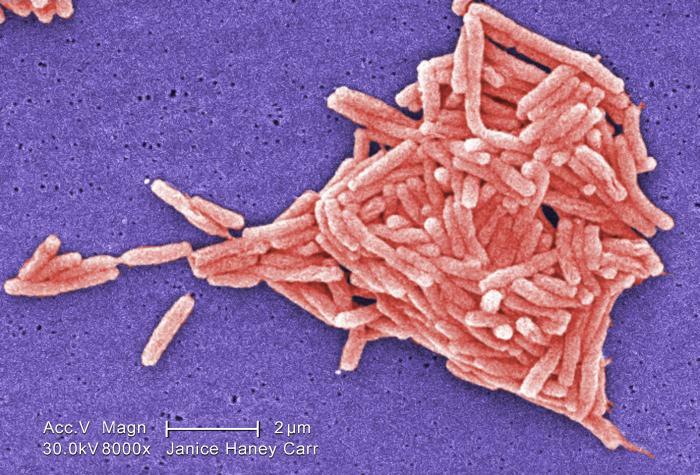 It’s July and a major Legionnaires’ disease outbreak has erupted in the Bronx borough of NYC. So far, 12 people have died and over 100 residents have been diagnosed with the disease. It’s turned into one of most serious outbreaks we’ve seen since the disease made its debut at the 1976. That outbreak coincided with the passage of a new Legionella standard: ANSI/ASHRAE Standard 188-2015. The new standard provides guidance on legionellosis risk management requirements for building owners, operators and the like. Here’s everything you need to know about the standard that is now in effect across the country. The newly approved ASHRAE Standard 188 establishes minimum legionellosis risk management requirements for building water systems. Building owners and facility managers are now responsible for implementing Water Management Plans that will keep building water systems free of Legionella contamination. In short, to protect building occupants from legionellosis. The standard aims to minimize occupant risk by outlining the minimum steps required to prevent Legionella contamination of building water systems. Legionellosis actually refers to two illnesses: Legionnaire’s Disease and Pontiac Fever. Both illnesses are caused by exposure to Legionella bacteria and commonly lumped under the name “legionellosis”. The Centers of Disease Control and Prevention (CDC) estimates that between 8,000 and 10,000 people are infected with Legionnaires’ disease every year. But it’s likely that underreporting puts the number closer to 100,000. Legionnaires’ disease is a serious concern because more then 10 percent of cases are fatal. Pontiac Fever is a less-severe, flu-like illness that can also result form exposure to Legionella-contaminated water. Who needs to know about it? Note that while the new standard affects various professions, building owners and facility managers will have final responsibility for building water system safety and meeting ASHRAE Standard 188 requirements. Healthcare providers and long-term care facilities should pay special attention to the requirements in this standard. People most susceptible to legionellosis include the elderly, dialysis patients, smokers and immuno-compromised persons. Healthcare providers should add legionellosis prevention to their risk management and infection control plans to protect these high-risk individuals. 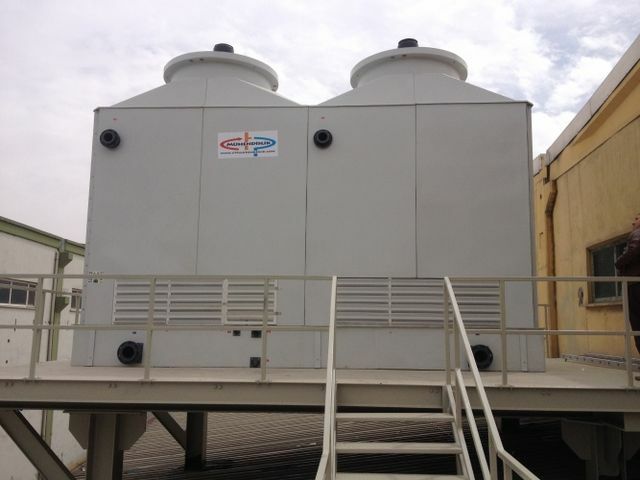 ASHRAE 188 applies to human-occupied commercial, institutional, multi-unit residential, and industrial buildings. (In other words, pretty much all buildings.) In rare cases, some parts of building water systems may be exempt, but those exceptions are specifically noted within the standard. Otherwise, the new standard applies to both new and existing buildings, and their associated water systems (potable and non-potable). Anyone dealing with design, construction, repair, replacement, expansion, commuting or operation of applicable buildings or their water systems will need to comply with the new standard. What’re the key points of the Standard? The new Standards identifies the minimum risk management requirements building owners and managers must meet to prevent Legionella contamination of building water systems. Meet minimum legionellosis risk management requirements for building water systems (both potable and non-potable), as specified by the standard. Conduct a Building Survey to identify risk-factors for Legionella-contamination and occupant exposure. * While the Standard outlines necessary elements of a Water Management Program, it does not require use of any specific control strategies to meet risk management requirements. What else is included in the standard? Newly required preventative measures for building water systems are covered extensively in the Standard. Five high-risk water systems features are singled out, including: potable water systems, cooling towers and evaporative condensers; whirlpool spas; ornamental fountains and other water features; and aerosol-generating misters, atomizers, air washers and humidifiers. Very specific compliance requirements are outlined for these water system features because they present a greater risk for legionellosis. If your facility has any of these features, you’ll probably want to check out both Standard 188 and ASHRAE Guideline 12. Informative sections of the Standard provide background information about Legionella bacteria, legionellosis, water system risk factors, correct Legionella testing procedures. General recommendations for legionellosis risk management procedures are touched upon throughout the document, but specific strategies are not supplied. Recommended resources are provided in the references section, and in a separate informative bibliography. Anyone looking to comply with the new standard should also take a look at ASHRAE Guideline 12-2000, Minimizing the Risk of Legionellosis Associated with Building Water Systems. The standard repeatedly points readers to this resources for recommendations and guidance on proper design, operation and maintenance of water systems. Separate compliance requirements are specified for building owners, building designers, and healthcare facilities. Designers must follow new “Requirements for Designing Building Water Systems,” which are outlined in the last section of the standard. Contractors must provide water system balancing and final installation documents to building owners/facility managers following the installation, replacement, repair or repurposing of building water systems. Healthcare facilities must meet an additional set of requirements outlined in an annex to the standard. Some of these additional requirements include risk management and infection control measures, strict water system operating procedures and rigorous documentation standards. If you’re looking for the standard to provide a ready-to-go legionellosis risk management plan, you won’t find it. While the standard sets out requirements for risk management plans and offers general suggestions, it does not dictate exact steps or regulations that must be included in legionellosis risk management programs. So for example, the standard requires building owners and managers to control microbiological activity, scale and corrosion through water treatment methods. But the standard does not require that any specific water treatment methods that must be included in legionellosis risk management programs. Instead, the standard is meant to provide a basis for building owners to work from, so they can develop Legionella control strategies and maintenance procedures that will be effective in their facilities. In other words, the standard tells you what requirements your plan must meet, but it doesn’t tell you how to meet those requirements. Why is the passage of Standard 188 such a big deal? You mean, aside from the changing the way that building water systems all across the country are designed, constructed, managed and maintained? Even though Legionella guidelines have been published in the past, this is the first time that a standard has been passed. Standards tend to carry much more weight than guidelines (both in practice, and in court) because they are accepted by industry groups and government agencies as the status quo. And this standard in particular has had a lot of official support. Even though specific Legionella regulations haven’t been passed, the new standard does put Legionella on the map as a recognized hazard. This means you could get roped into compliance by related regulations. For example, OSHA’s General Duty Clause requires that employers keep their workplace free of serious recognized hazards. If Legionella (a known hazard) is discovered in building water systems, building owners and facility managers could be found in violation of serious OSHA regulations. If an outbreak in your facility leads to lawsuits, you could be in some hot water. The new standard will be a major factor in determining liability and/or negligence in court. Remember that the standard places major responsibility for the safety of building water systems on building owners and operators. If minimum requirements of the standard are not met, these parties will be found liable in court. Total compliance with ASHRAE 188 should help protect against allegations of negligence or wrongdoing if a Legionella-related lawsuit is filed. Establishing a standard of care is essential in Legionella cases. It helps outline what should have been done to protect occupants so that court can confirm that the plaintiff has a case. Prior to Standard 188, Legionella guidelines did not offer an enforceable standard of care, so it was harder to bring legionellosis cases to court. Now, the new standard sets a “standard of care” for water system management and occupant protection. Courts can easily determine whether or not building owners, operators, and related parties fully met their responsibilities. The new clear-cut requirements also mean that total compliance is essential. Even if legionellosis risk management systems where in place, courts can still find fault if water management plans were not properly implemented or maintained according to the standard of care outlined in ASHRAE 188. Now that ASHRAE 188 has been published and publicized, it’s assumed that most building owners/operators are aware of the standard. That means it’s going to be pretty hard to claim that you didn’t know anything about your responsibilities if there’s an outbreak in your facility. Like we said, ASHRAE 188 will likely be passed into local, agency and industry regulations soon. Those regulations will not only affect building owners and operators, but also designers, engineers, construction workers and anyone else who works with building water systems. All in all, investing the time and money to comply with Standard 188 now will protect you later on. Who’s in charge of enforcing compliance? ASHRAE will not be responsible for enforcing Standard 188. Instead, agencies responsible for protecting workers rights and occupant safety are in charge of policing. The standard refers to these agencies as Authorities Having Jurisdiction (AHJs). Businesses will have to answer to their industry’s relevant agencies, so policing may vary from building to building. For example, OSHA would be responsible for enforcing the standard in commercial and industrial buildings, while The Joint Commission (TJC) would police healthcare facility compliance. Other AHJs might include the Environmental Protection Agency (U.S. EPA) or local public health or enforcement agencies. Where can you find the standard? The full standard is available for purchase on the ASHRAE website. It will run you $48 if you’re an ASHRAE member, and $58 if you’re not a member. Now that you know about the basics of Standard 188, it’s time for you to check it out yourself and figure out what you need to do to comply. AMI Environmental has worked with facility owners and operators for nearly 30 years to manage risks and protect occupants. We can help you create and validate a Water Management Plan that will put you in compliance with the new standard. We’ll also evaluate Legionella risks in your facility so you can take action before an outbreak hits. Please don’t hesitate to contact Dan Taylor at AMI Environmental if you have any questions about the new standard, your facility or this guide. AMI has arranged a special discount for our customers on LAMPS (Legionella Assessment and Management Plan Support) water management plans. To get 5% off, up to $500, go to lamps.hcinfo.com, click on Purchase, click on “Order” next to LAMPS WMP+Training, and then enter the discount code “ami5” in the check out page. If you purchase a WMP and then decide you want help in setting it up, just contact HC Info at support@hcinfo.com about a price on set-up services.